Long after your Dynamics implementation reaches production status, Sunrise can be by your side to help ensure your investment continues to deliver value for a lifetime providing training, enhancements, and support. And we can tailor our services to suit your needs! You just pay-as-you-go and benefit from a cost-effective support umbrella that crosses North America, Europe, and Asia. By signing up, you’ll free up your IT team for other important tasks. Only use us as you need us, and pay nothing if you don’t! We’re just a support ticket away. 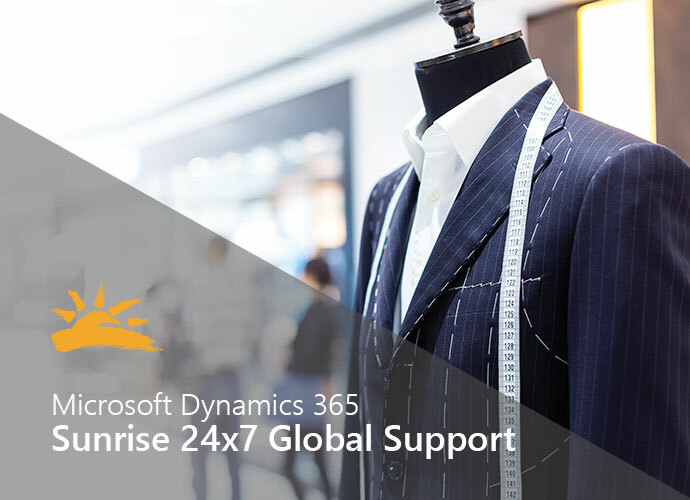 Sunrise supports implementations of Dynamics 365, as well as older versions of Dynamics AX 2012, 2009, and earlier. If you’re a client on an older version of AX, with plans to move to Dynamics 365 at some point in the future, we can also provide workshops to help you transition on-premise licenses to the cloud. When you decide to make the move, we’ll also help support your old instance while you get the latest technology in the hands of your users!